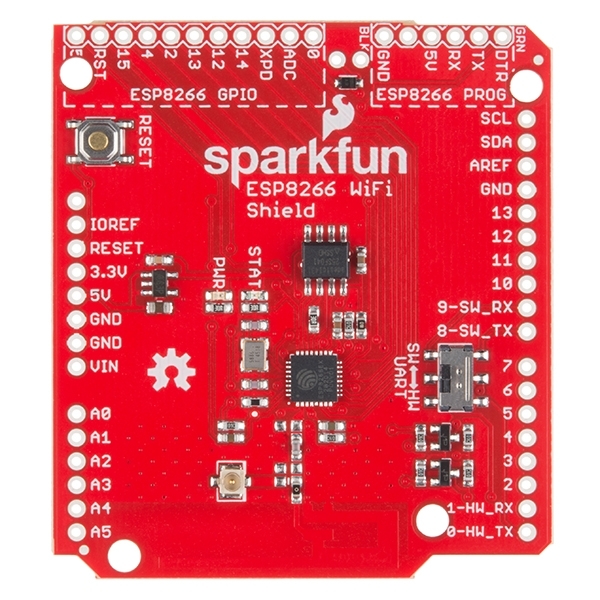 The ESP8266 WiFi Shield comes pre-flashed with an AT-command firmware, so it can be controlled by any UART, but it also breaks out and provides command access to all of the ESP8266’s I/O. 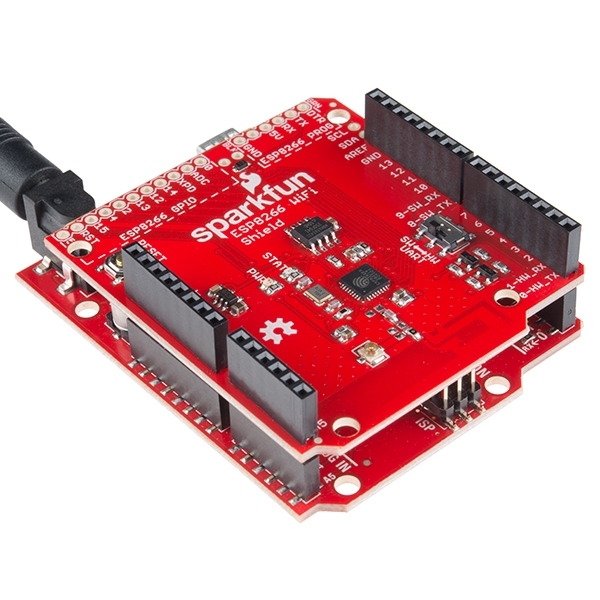 Since this is an Arduino shield, it makes it easy to attach to any development board that utilizes the Arduino R3 layout. All it will take is a little soldering to attach the necessary headers. 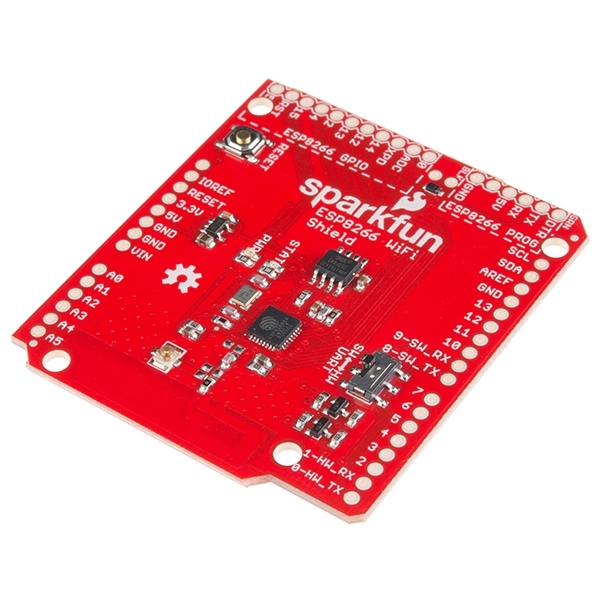 The ESP8266 is a much more than a simple serial-to-WiFi gateway. It has almost a dozen I/O that can be configured as digital inputs or outputs – it even has an ADC! These GPIO are all broken out towards the top-left side of the shield. 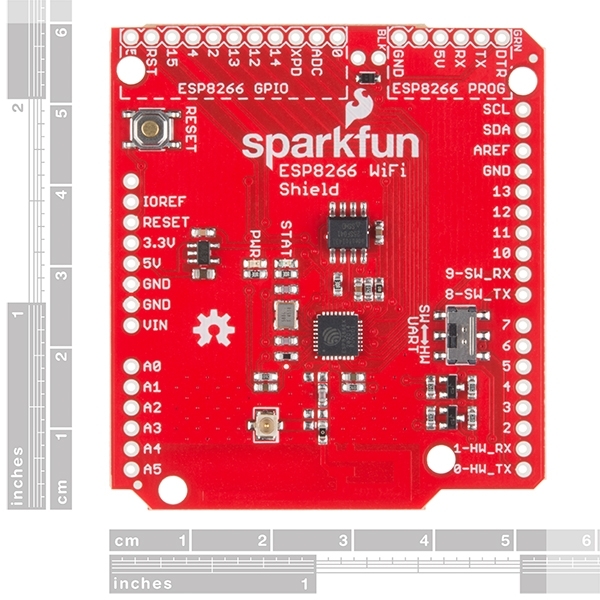 Additionally, the ESP8266 WiFi Shield can be repurposed and reprogrammed through the programming port found on the top-right side of the shield. 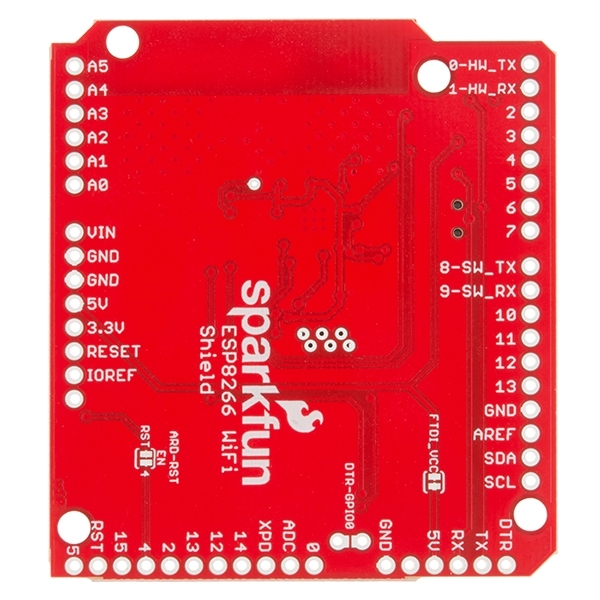 Whether you want to add AT commands of your own, or flash custom firmware on the ESP8266, this port may come in very handy especially with it utilizing the pinout of our FTDI Basic breakouts.